The focus of the presentations will be on the school district’s maintenance and operations department. 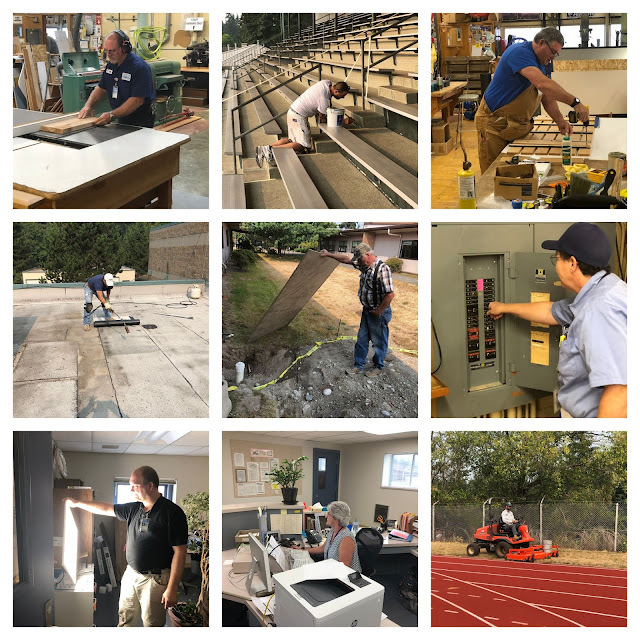 From custodians to carpenters to electricians, there are many people who work behind the scenes to keep Shoreline Schools well-maintained and humming along. Department Director Marcus Gregory will detail the staff and practices in place that help keep schools and grounds great places to teach and learn. There is no need to RSVP, but if you have questions, contact the school district’s public information office at public.info@shorelineschools.org or 206-393-4412. Also be sure to save the date for their next series of presentations on May 9 at 7pm and May 10 at 10am. The topic for those presentations is Early Learning.